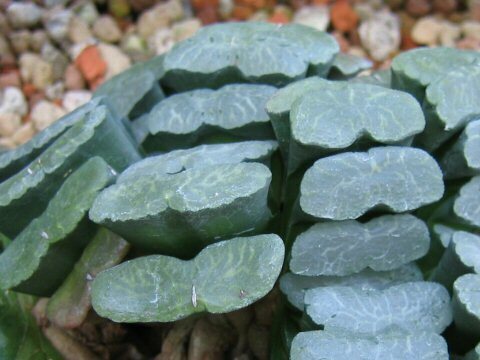 Haworthia truncata belongs to the Liliaceae (the Lily family). 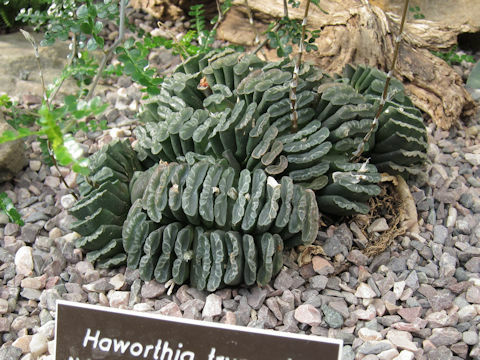 It is an evergreen herb that is distributed in the Western Cape region of South Africa. 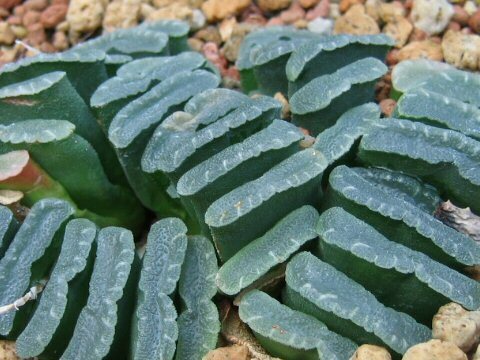 Column-like leaves with flat tips are about 4-5 cm in length and arranged in fan-like fashion. It absorbs light from a translucent window on a flat part. It grows in the winter rainy season and dorms in the dry season of the summer. 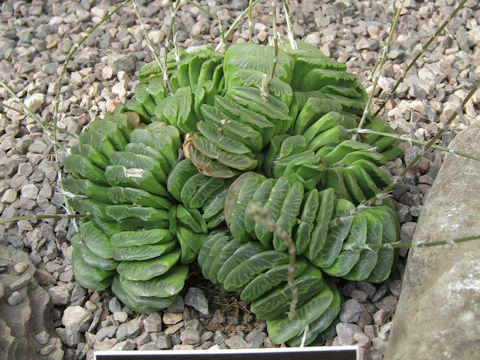 The bottom photo is the garden cultivar 'Lime Green'.